The shocking conclusion to what critics have called a "flat out impressive" series that "rewrites apocalyptic standards." The secrets of the Divide have been revealed, but at great personal cost. In the face of certain death and against impossible odds, can Paul and Maria save each other - and, just maybe, the world? Each issue of THE GREAT DIVIDE comes with unique digital content. 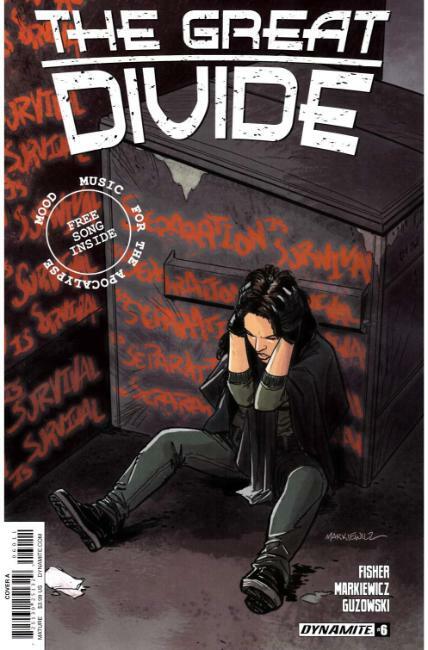 Issue #6 includes the Great Divide's swan song performed by the incredible "dark fairie" folk band, City Below!